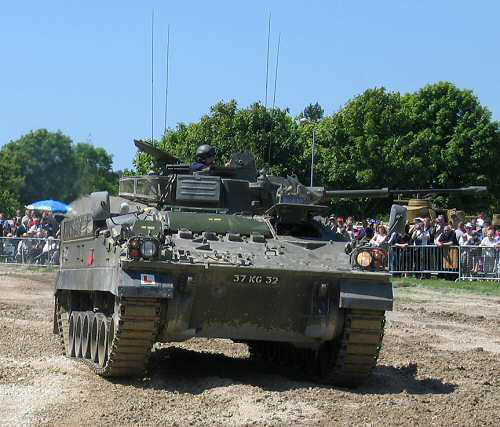 FV510 Warrior Mechanised Combat Vehicle is used by the British Army's armoured infantry battalions. 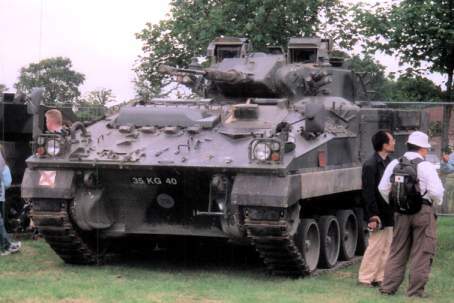 Originally known as MCV-80 the production vehicle was first introduced in 1986. 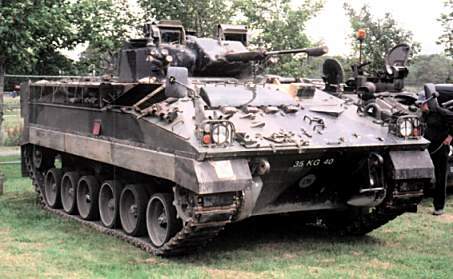 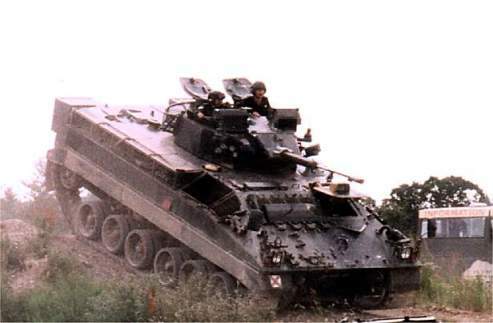 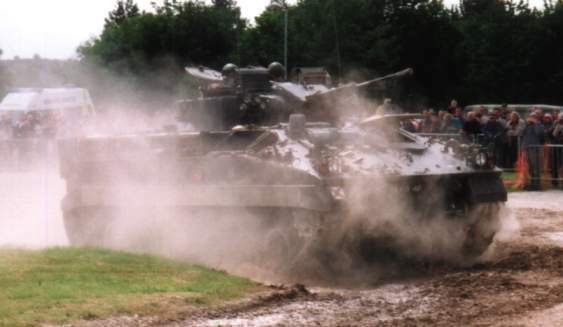 The vehicle seen here is known as the Warrior Section Vehicle. 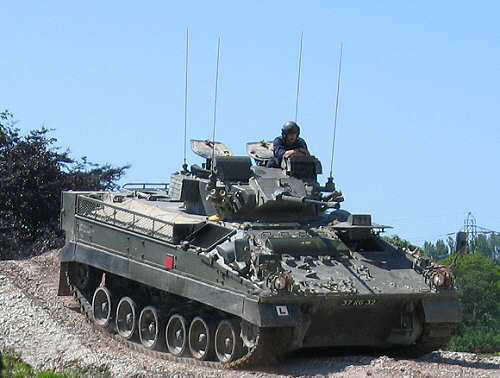 There are a number of other variants, including Command Vehicles, Missile Vehicles, Mechanised Artillery Observation Vehicle (MAOV), Mortar Vehicle, Repair and Recovery Vehicle and Combat Repair Vehicle. 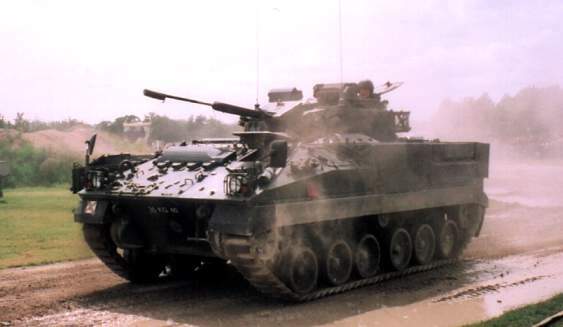 Armament: 30 mm L21A2 Rarden Cannon, Coaxial L94A1 7.62 mm Chain gun, 2 x 4 barrel smoke dischargers.